I used a pomegranate and honey washing up liquid which is red, and mixed with the cornstarch went this lovely bubblegum pink! 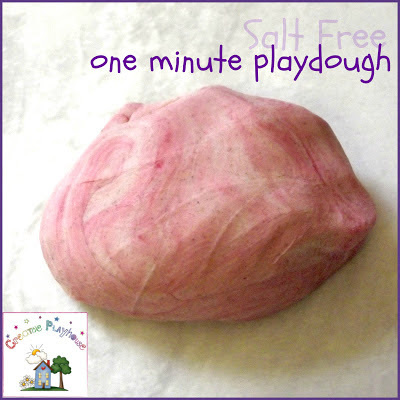 The dough is malleable and mouldable. The cornstarch in it makes it break with force cleanly. 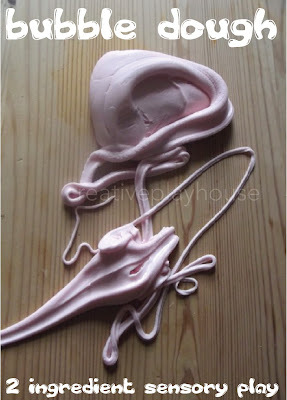 And if you handle it gently and hold it from a height it kinda goes goopy and drips down (with no mess!). 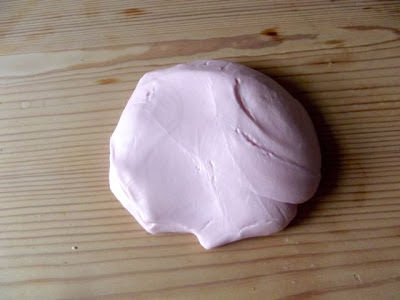 A bit like putty, I guess. He told me it felt soft and light and nice. And it smells lush! You could add smell to it of course, but you dont really need to because the soap smells nice already. I could not stop playing with it. It is not sticky or messy at all, and feels soft and lovely on your hands, and it doesn't dry your hands out like playdough can. Also its SUPER easy to clean, it is made from soap after all. 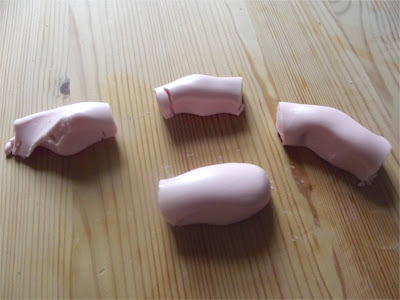 The little residue that is left on your hands just turns into soap when you wash your hands and bam, its all cleaned up. Really love this so much, we will be playing with it lots! THE RECIPE: I used aprox 1 cup of cornflour to 1/4 cup of washing up liquid, but it wasn't exact. Its best to add the liquid slowly until you get the desired consistency. Stay connected with us for all our latest posts, pictures and updates! Is it made with corn flour or corn starch? 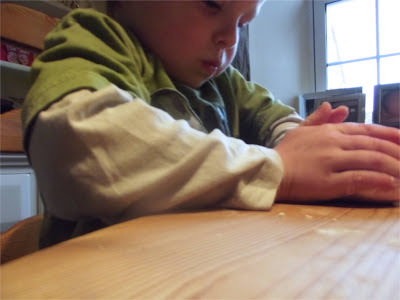 Cornflour is Cornstarch, just depends on where you are. Always check the origins of a recipe so you understand the terms used before you commit to an ingredient. This is a must if dealing with British vs American English...or even Australian or Canadian. Mince= Ground beef. While, IME, Mince Meat could be any ground meat. BTW, not all of America uses the same terms either! If you want a cola in Boston you'd better say Tonic, if you want what others consider a Tonic you'd better request quinine....meanwhile in Florida use soda (not pop)...etc. Very Cool! Can't wait to try it! Thanks Jessie! Your Ice cream dough is amazing! Wow...this looks like another thing I really want to try. I'm going to pin it to my Pinterest boards to make later. 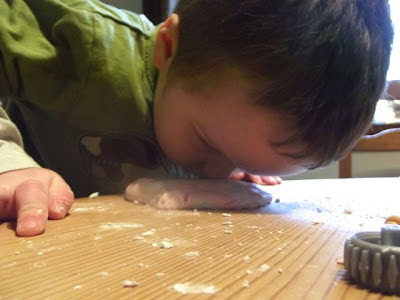 Was it equal parts of cornstarch and soap? This is very, very cool, Kat! I'm loving all of these homemade doughs that people are experimenting with and discovering right now! Thanks Jackie :) It was so fun! Thanks for linking up! I saw this on Pinterest and meant to get back to it! Reminds me of silly putty. I can't wait to try it with kids! Hi Amanda, thanks for your comments. 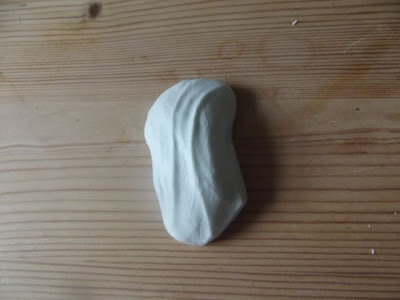 I used about a cup of cornstarch/flour and a good generous squeeze of dish soap, then a little bit more... Add it gradually until you get the required consistency. We have just made some grapefruit and strawberry doughs, great fun :-) and he was pleased to find it makes bubbles when you wash up afterwards! 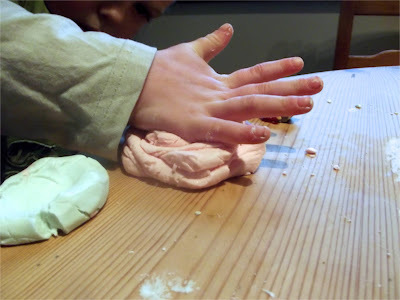 Have you experimented with making a dough with lotion, vaseline, or hair conditioner? We have dry skin and eczema here, and I've been wondering if any of those liquids would work. I made it this morning for my preschooler and toddler - what a hit! It is such a neat material, thanks for sharing! Looking forward to trying with flour next. Great ideas! This is such a great idea! I cannot wait to make it and engage the little one to find all sorts of liquids that we have around the house. I can only imagine all the beautiful scents and colors resulting from this project! Thank you! How wonderful that your experimenting hit upon something so great. We'll definitely have to try this out. Pinning now! Back to the shop for 2 items before school pick up! I tried it out today using bubble bath....it turned out really good!! This is a great idea! Is there a perfect amount of soap and corn starch to use? Off to pin this! Mine didn't come out the same either. I used palmolive cuz its all I had. However the kids have still been playing with it for the last hour and still going... 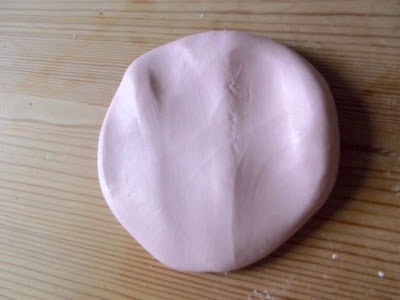 It kind of like playdoh, only softer and silkier feeling. But mine didn't do the same cool stuff either. We loved experimenting either way. This is brilliant I might have to do this in the morning with my son! hi, Can you add food colouring to change its colour? Yep! Or use a different colour dish soap! PS. Adding water to it makes it a slippery mess! lol! I was wondering if that would work. Thanks for the heads up. We made this this morning, such great stuff!!! 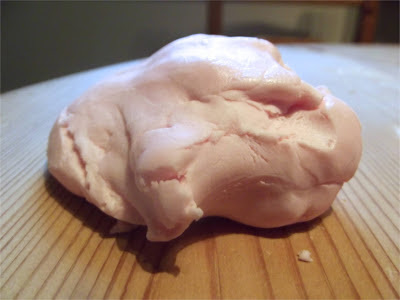 Thank you for sharing :) My two were calling it Marshmallow Dough too! That's a great name for it - it does have a marshmallowy type texture! We made this and it was awesome!! And it smelled so nice! I accidentally left it out overnight, so it was a one time use, but we will be making it again!! Thank you for the great idea! I can't wait to try it with my kids, my middle son especially! This looks so neat! I am so glad you linked it on our February Play to Learn Blog Hop. I think we will try this later on today or maybe tomorrow. My toddler will love it. Make sure to stop by on the first Saturday of March for the next play based learning hop! I made it love it! Going to introduce it to my class coming up soon!! That looks like it has a lovely texture! Sensational! I will add glitter to your fabulous recipe. Thank you for sharing your creative ideas! 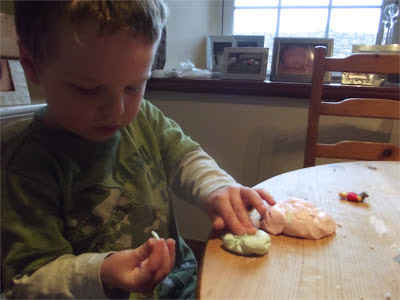 mine was sticky too, first it was too crumbly, then too sticky - i dipped the sticky ball in my hand into more conrnstarch and mixed and mixed. it eventually came out right, but it was a process. 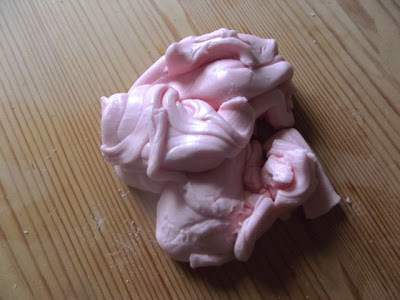 I used palmolive and used way more than a cup of soap per cup of cornstarch... so I think it depends on the soap. Wow, this sounds awesome. Off to make it right now! We did it sometimes ago, and it was fun on the first day to play. the girls were at it for about half an hour and it was giggles all the way. Then i stored it in a tupperware. However, the next time I took it out it had hardened and adding more soap made it sticky. Any ideas on the storage of this stuff? Incredible discovery. It looks like loads of fun! Awesome! We'll have to try it! Just wanted to let you know that we made this and had a ball! Thanks so much for sharing. I didn't even get to the end of this article before jumping up to try it out. A bit of cornflour from the pantry + three different coloured liquid soaps = great school holiday fun. Worked perfectly! I didn't have enough dish soap, so we used hot pink strawberry scented bubble bath and it worked great! My daughter loved the color and scent and we played with it for hours this morning. Thanks for sharing! fantastic! i have a box of old liquids i have been wanting to mix with stuff to see what happens once i have the time...you are brilliant! what is the lasting power of this..a couple of days? a week? What a great idea. I think my girls are going to love this! i would say yes. It's soap - so it's gonna sting. I had a daycare child constantly touching the eyes too - I got him super cool sunglasses to wear inside the house - esp during projects like fingerpaint or glitter. Of course, then I had to get all the daycare children sunglasses to wear in the house, but hey, it worked. Give it a try. Don't use dawn dish soap, it just makes crumbles. I added liquid hand soap (equate milk & honey) and it smoothed out nicely. I had to add extra cornstarch and it isn't sticky but it does get stick. So it's not sticky like gum, but chunks do adhere to your skin, table, but comes off easily. Leaves a floury residue, but cleans up. My 4 year old has been playing with it for the last 20 minutes and my 1 year old comes and goes. Fun and interesting texture. Thank you for sharing! This was fun but it didn't turn out quite like the original. 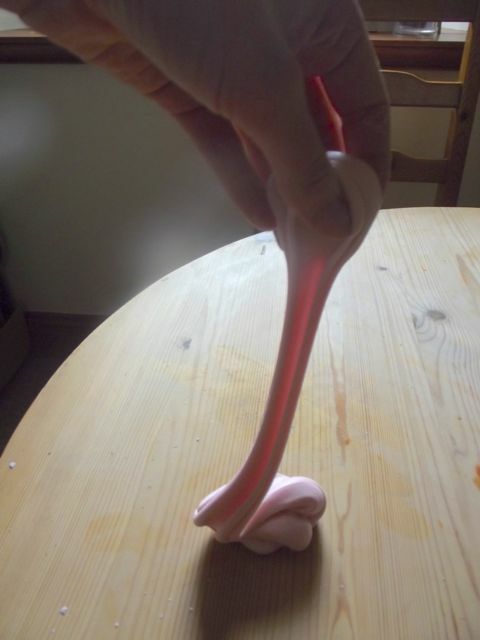 It wasn't quite as pliable looking, no oozing down when help at a height, for example. I am going to try a different soap and see if that helps. A very cool idea and my son played with it for over an hour. Thanks for sharing!